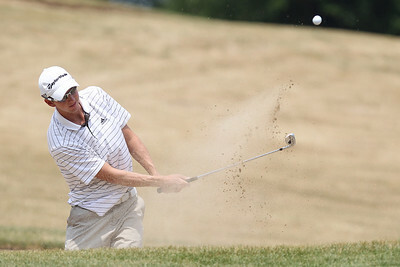 Mike Greene - mgreene@shawmedia.com Griffin Bauman hits out of a sand trap on the 18th during the McHenry County Men's Amatuer Golf Tournament Thursday, July 12, 2012 at Crystal Woods Golf Club in Woodstock. Mike Greene - mgreene@shawmedia.com Brad Hyland lines up a putt on the 12th green during the McHenry County Men's Amatuer Golf Tournament Thursday, July 12, 2012 at Crystal Woods Golf Club in Woodstock. 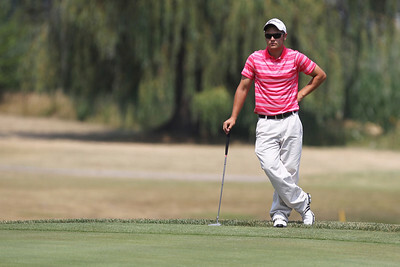 Mike Greene - mgreene@shawmedia.com Jon Schwalenberg waits for his turn on the 12th green during the McHenry County Men's Amatuer Golf Tournament Thursday, July 12, 2012 at Crystal Woods Golf Club in Woodstock. Mike Greene - mgreene@shawmedia.com Donald Langland Jr. surveys the green before putting on the 18th during the McHenry County Men's Amatuer Golf Tournament Thursday, July 12, 2012 at Crystal Woods Golf Club in Woodstock. Mike Greene - mgreene@shawmedia.com Tom Sweetwood hits an approach shot on the 15th during the McHenry County Men's Amatuer Golf Tournament Thursday, July 12, 2012 at Crystal Woods Golf Club in Woodstock. Mike Greene - mgreene@shawmedia.com Brent Filetti tees off on the 13th during the McHenry County Men's Amatuer Golf Tournament Thursday, July 12, 2012 at Crystal Woods Golf Club in Woodstock. 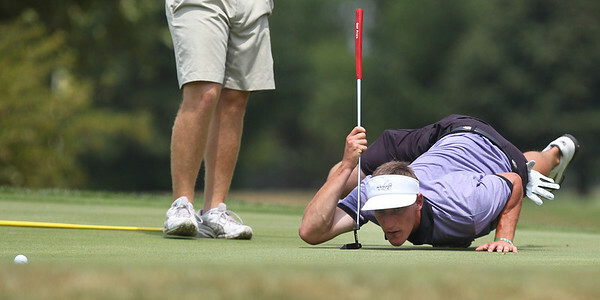 Mike Greene - mgreene@shawmedia.com Luke Waggoner lines up a putt on the 12th green during the McHenry County Men's Amatuer Golf Tournament Thursday, July 12, 2012 at Crystal Woods Golf Club in Woodstock. 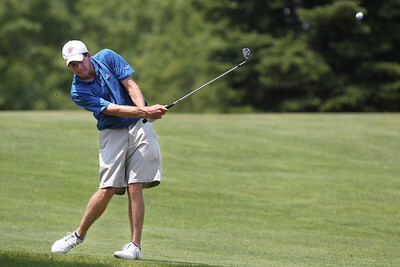 Mike Greene - mgreene@shawmedia.com Riley Bauman hits an approach shot on the 15th during the McHenry County Men's Amatuer Golf Tournament Thursday, July 12, 2012 at Crystal Woods Golf Club in Woodstock. 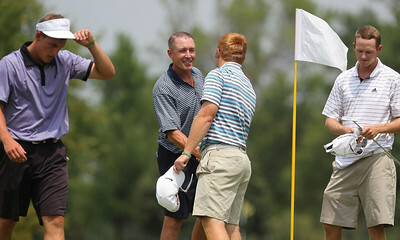 Mike Greene - mgreene@shawmedia.com Donald Langland Sr. shakes hands after finishing the opening round of the McHenry County Men's Amatuer Golf Tournament Thursday, July 12, 2012 at Crystal Woods Golf Club in Woodstock.